We recently published a blog about foetal homicide laws (‘feticide’) which have been gaining attention in America. That blog incited an interesting and thought-provoking discussion amongst our readers – some of whom were surprised to discover that abortion is against the law in Australia. It’s commonly known that women’s health clinics offer termination services to women who experience unwanted pregnancies; so how does abortion operate under Australian law? In Australia, the laws on abortion differ depending on which state or territory you reside in. These include section 82 of the Crimes Act 1900, which makes it an offence for a pregnant woman to unlawfully administer a drug or poison, or unlawfully use an instrument to procure a miscarriage. Section 83 essentially makes it criminal offence for other people to intentionally cause a woman to suffer a miscarriage using unlawfully administered drugs, poison or instruments. It is also an offence under Section 84 of the Crimes Act to supply or procure a drug, poison or instrument with the knowledge that these items may be used unlawfully to procure a miscarriage. The maximum penalty for that offence is 5 years imprisonment. What is an Unlawful Abortion? Although the Crimes Act doesn’t list the relevant criteria or outline the circumstances, the 1971 case of R v Wald does provide an explanation. That case involved a criminal trial of five people – most of whom were health care professionals. The five defendants were involved in performing an abortion at the Heatherbrae clinic in Bondi. All were charged under section 83 of the Crimes Act. All five defendants were ultimately found ‘not guilty’ on that basis – and the ruling opened the doors to women seeking to terminate a pregnancy for reasons such as financial disadvantage or instability, or fears of social stigma and judgment – factors which may negatively affect a woman’s mental wellbeing. The judgment also affirmed that abortions do not need to be performed in hospitals – paving the way for women’s health clinics around the state. What if a Doctor Fails to Make the Right Enquiries? The judgment in Wald means that an abortion can be legally performed as long as a doctor is satisfied that it would mitigate the risk of a serious danger to the woman’s mental or physical health. But what if a doctor fails to make enquiries into the impact that a pregnancy may have on a woman’s mental and physical health? Could they be prosecuted in these circumstances? According to a more recent NSW case, the answer is yes. The 2006 case of R v Sood involved a medical practitioner, Ms Sood, who ran a women’s health clinic providing termination services. A woman who was between 22 and 24 weeks pregnant approached Ms Sood in 2002 seeking a termination. The court heard that Ms Sood did not physically examine the woman, nor did she inquire into why the woman wanted to have a termination. Ms Sood nevertheless obtained abortion drugs and administered them to the patient, and gave her two tablets to take in the future. The woman had a miscarriage several days later and, after a lengthy trial in the Supreme Court, Ms Sood was found guilty of procuring a miscarriage under section 83 of the Crimes Act. 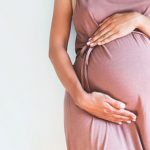 That a reasonable person in the position of the accused would have considered that the risk of termination was out of proportion to the risk to the mother of the continuation of the pregnancy. How Does the Law Work in Practice? Despite the fact that abortion is technically illegal, there are many women’s health services which provide terminations for women up to the 18 to 20 week mark – however most abortions are carried out between 7 and 12 weeks. 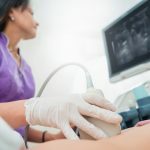 As long as the above requirements are met, an abortion can be performed by a registered doctor, either at a hospital or at an accredited health clinic. Women seeking an abortion must be provided with the relevant information about the procedure, as well as the risks. They must also be provided with information about the psychological impact of an abortion before they consent to the procedure. Women aged under the age of 16 years can undergo an abortion without the knowledge of their parents or guardians, as long as a doctor believes that they are mature enough to understand the decision that they are making. The same applies to women with an intellectual disability. It is only where the doctor believes that the woman lacks the requisite maturity to comprehend their actions that parents must be notified. If you are considering having an abortion, it is important that you seek assistance and advice from your GP or a women’s health clinic. You may also seek advice from organisations such as Family Planning NSW or call their confidential Talkline on 1300 658 886 for more information.